An ecological spirit and a respect for nature, Roll-Tech is a private company located in Hickory, North Carolina / USA, focused on quality and durability. We are a designer and manufacturer of molded plastic and rubber products. Our production is dedicated to the use of recycled raw materials for more than twenty (20) years. 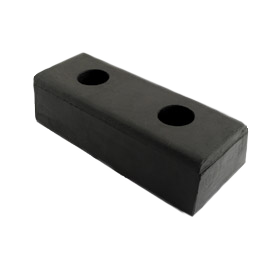 The rubber compression molding technology was first developed to provide manufacturers of residential waste containers. 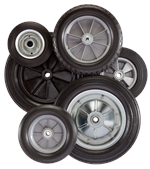 Today, this technology is used to manufacture a diverse range of wheels and other molded products. Roll-Tech has expertise in the use of raw materials that come out of RECYCLING. 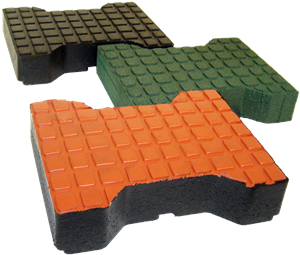 Our rubbers come from used truck tires and our resins mainly from recycled plastic bottles. Roll-Tech is committed to using almost 100% recycled content in the design of its products. Every year we eliminate garbage dumps from around 400,000 used tires and 500 tons of polyethylene. Roll-Tech products are designed to withstand heavy loads and are robust and durable.